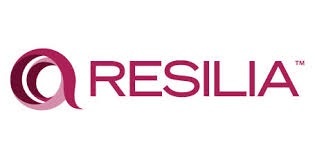 RESILIA is a set of cyber best practices that assists organizations to develop and implement a comprehensive cyber resilience strategy encompassing people, process and technology. The Cyber Resilience Best Practices guide is the core guidance that underpins the entire RESILIA portfolio of courses. The guidance is aimed at all areas and roles within IT, risk and the wider business and helps organizations understand how to build cyber resilience into day to day operations. Cyber resilience is about resisting, responding to and recovering from attacks that will compromise the information you require to do business. This can no longer be just the responsibility of your information security team – everyone has a role to play. Your people are your greatest assets in helping your organization detect, respond to and recover from a cyber attack. Cyber resilient behaviors need to be embedded across the organization. Cyber resilience requires a balanced and collaborative approach across the entire organization – embedding awareness, insight and skills that will make you more effective in keeping your critical information safe. Not all attacks are of equal seriousness, so you need to know how to prioritize, how to differentiate the low risk attacks from the high risk and where you should focus your efforts. Developed using the ITIL® lifecycle, RESILIA best practices follow the same Strategy, Design, Transition, Operation and Continuous Improvement structure. The best practice covers what activities, controls and management processes should be in each lifecycle. Organizations already using ITIL for service management will find that Cyber Resilience can easily be integrated into its existing management systems with Cyber Resilience controls and management becoming an extension of existing business-as-usual processes. The Cyber Resilience Foundation and Practitioner exams help individuals to understand how their decisions can impact on cyber resilience, and it gives them the confidence to be able to apply cyber resilience practices to existing processes and strategies. Fundamentally it gives organizations the ability to develop staff able so they can establish holistic security programs that assure the resilience of organizations’ information assets. Existing qualifications like CISSP, CISM, CISA etc., are predominantly aimed at security professionals and as such have a more technical focus, and in the case of CISSP include elements of physical security, with strategies and controls designed to prevent and detect cyber to attacks. RESILIA has been designed to highlight the importance of strategies and controls that respond and recover from attacks and is aimed at IT and RISK professionals who need a greater understanding of cyber resilience as part of their existing responsibilities and strategies. IT and Security functions: all professionals within IT Service Management, Information Security, Business Analysis, IT Project Management, IT Development, IT and Security Architecture and leadership roles (CTO (Chief Technology Officer), CISO (Chief Information and Security Officer), Head of IT). The Risk function: All Risk Management professionals from CRO (Chief Risk Officer), Head of Risk, Risk Manager, Heads of Compliance and Business Continuity to risk and business analyst roles. All core business functions: HR, Finance, Procurement, Operations and Marketing, will benefit from having cyber resilience expertise within the team, often including a local champion or mentor for all staff to refer to. 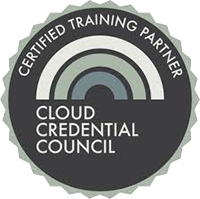 RESILIA certifications are designed for all staff from leadership roles (HR Director, CFO, Operations Director) to management and operational teams.